Top Ten Most Fun Characters in Super Smash Bros. 4 – Marcus – Stuff and That. Bloody hell, it’s been a while since my last post. I have many excuses for my absence, for example, laziness and other things involving being lazy, so hopefully you can forgive me for my sin. Anyway, on to the actual article. Super Smash Bros. for Wii U is one of my favourite games of all time, as you may have read in my Top 10 Favourite Games post. It is also one of the games I’m best at due to my countless hours playing the game. As with any game, everyone has their own opinions on which characters are the most fun to use, and I’m going to give my own thoughts on which characters I enjoyed destroying my friends with the most in Smash. 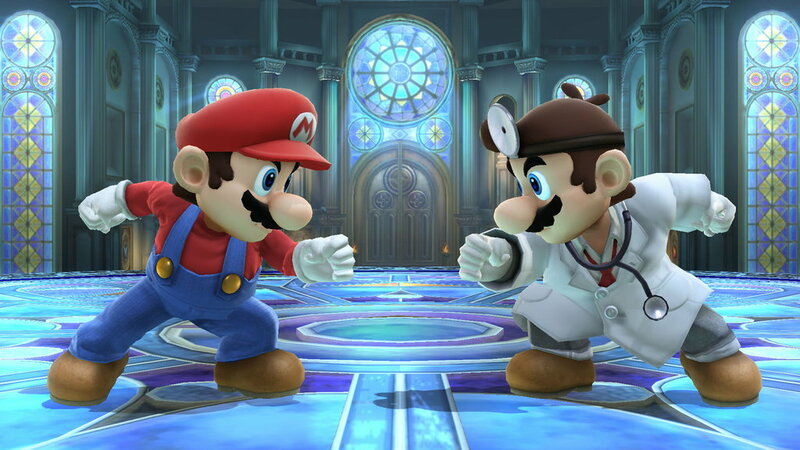 Doctor Mario is a clone version of Mario, meaning he has similar looking moves that have been changed to deal more/less damage, or send your opponent flying different distances. In Doctor Mario’s case, his moves deal more damage and hit much harder than Mario’s. Combined with a plethora of short but highly dangerous combos, you will surely have a blast playing as this dodgy doctor. Marth is a popular pick in Smash 4 due to his versatility and generally agreed top tier ranking, but for me, that’s not what makes him an interesting character. 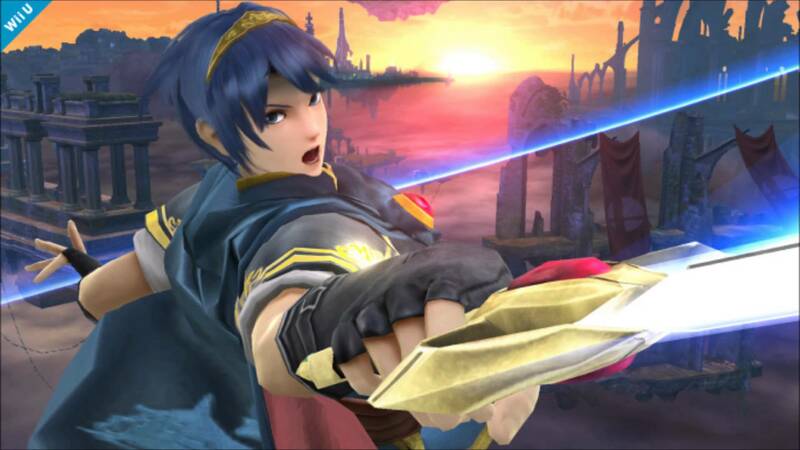 Marth is based around a “Tipper” mechanic, meaning that the tip of his sword deals more damage and knockback in most of his moves. This allows for intricate combos with the hilt of his blade to rack up damage to lead in to devastating finishing blows with the tip. Marth’s Tipper Forward Smash is one of the strongest kill moves in the game, killing near the edge of the stage as early as 50% (most moves kill at around 80-120). Samus is a staple character in Super Smash Brothers, debuting in the very first entry on the N64. However, Smash 4 has my favourite version of the bounty hunter. Samus uses a ranged kit to keep out opponents and stop their approaches in their tracks. While doing this, you should be looking out for any mistakes your opponent makes, and as soon as they do, go in with your high damage combos and maybe land that golden charge shot kill with your fully charged Neutral Special. The combination of defensive, keepout play and aggressive, high damage combos makes Samus very rewarding for the patient player. Another iconic Nintendo character makes it onto the list. Ganondorf is the pinnacle of low speed, high damage. Ganondorf normally struggles against most characters in Smash 4 due to his low speed, meaning you will normally take a beating before you get a good hit in. But when Ganondorf hits you, he really hits you. It only takes 3 or so hits from Ganondorf to deal enough damage to make even the heaviest character fear for their stock (life), and taking out a quick moving character as this powerhouse is one of the most satisfying things in Smash. Toon Link is another clone character, based on Link, who sports a more set-up reliant kit using his bombs which he can throw out at will. These bombs allow for powerful follow-ups with his powerful aerial moves, most notably his Forward Air. You can also set up your stronger attacks with your boomerang, which also doubles as a way to keep out your opponents and prevent them from getting any kind of advantage. Toon Link’s setups aren’t easy though. It takes some practice to consistently get them off in a real match, but when you do, people will live in fear of your mighty Toon Link plays. Captain Falcon is the perfect combination of speed, power and style, being able to rush down any opponent with flashy combos and powerful kill options. One of if not the most popular character in Smash is certainly hecka fun to play. One thing you may recognise even if you don’t play Smash is his signature Falcon Punch, a move that’s slow to start up, but deals a tonne of damage and send your opponent flying as you hit them with a fire blast in the shape of a falcon. Another fun move to use is his Forward Air. 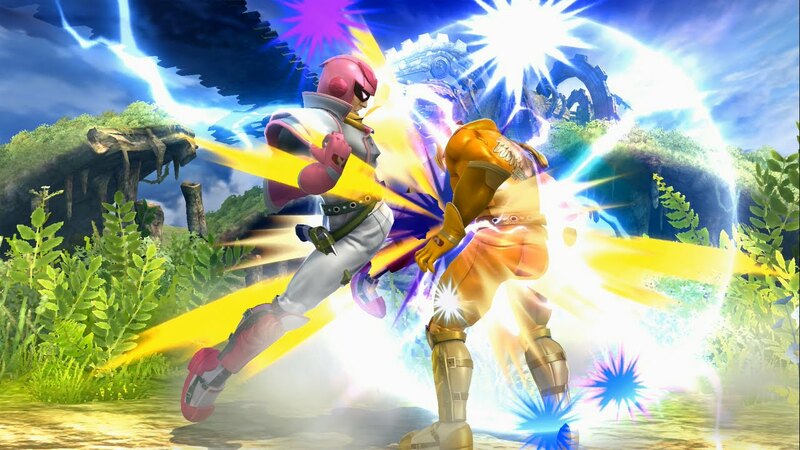 This move involves Captain Falcon giving the opponent a full blown knee to the face, complete with sparkly particle effects and a dashing of your opponent’s tears (maybe). Little Mac is fun for many of the same reasons Captain Falcon is. He’s quick, and his punches have some insane power. As Little Mac is a boxer, his moveset relies on him being on the ground, with quick, powerful jabs and uppercuts. If you let Little Mac gain the upper hand, he will most likely close out the stock, if not deal tonnes of damage. But, many Little Macs may become frustrated players that force them into the air or off stage, as his aerial moveset and recovery (ability to get back on stage) is some of the worst in the game. However, that just makes the character more fun, as defeating opponents regardless of these fatal flaws is extremely satisfying. One of the most controversial character in Smash 4 history, Bayonetta was considered to be extremely overpowered when she launched as DLC. Even after heavy nerfs to her combos, she is still considered by many to be the best character in the game, and some even still think she is overpowered. But that’s not what we’re here to discuss. Bayonetta is built around long, high damage combos that carry your opponent around the stage. In one famous combo before the nerf, you were able to carry an opponent up to the top kill line with a near inescapable combo at any percent damage. After the nerf, combos that do this still exist but are escapable, but that does not mean they are as satisfying to pull off. Watching your opponent desperately struggle to get out of your combos is really entertaining, and maybe they do get out of your combo, doesn’t matter. You can just hit them with Witch Time, a counter move that puts your opponent in slow mo for a brief period, so you can continue the carnage. Falco is yet another clone character, based on Fox, however as he is a fairly old addition to Smash Brothers, he has been changed to be very different to his furry counterpart. With many multi-hitting moves that gracefully link together for high damage, Falco is a force to be reckoned with. He also has many “Jab Lock” setups, which involve hitting your opponent onto their back, and hitting them with a weaker move. This locks them and only allows them to get up on the spot (as opposed to rolling or attacking which is possible under normal circumstances). As you watch your opponent get up after a Jab Lock as you charge your Forward Smash for a guaranteed kill, you can feel the sense of “Oh God…” as they realise that there’s nothing they can do to stop their inevitable defeat… unless they have another stock. Jigglypuff has become somewhat of a joke character, due to it being arguably the worst character in two consecutive Smash titles. 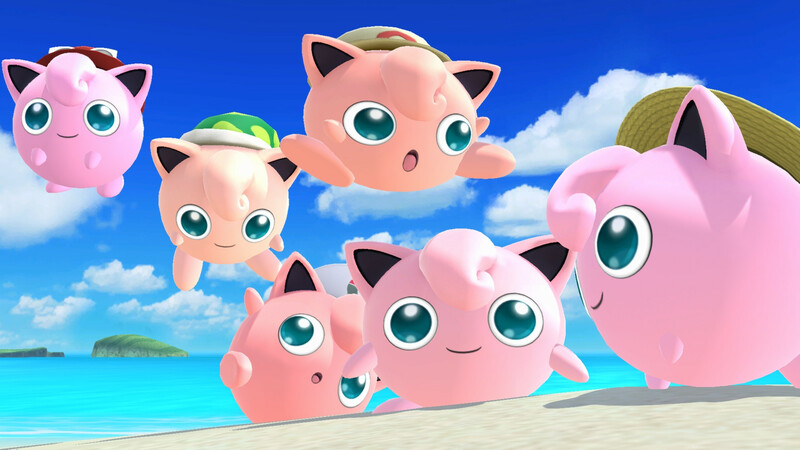 However I find Jigglypuff to be the most fun character to play in all of Smash. Jigglypuff controls in a very floaty manner, allowing for you to easily dodge opponents projectiles and combine your aerials to rack up damage. But the most enjoyable move Jigglypuff has at her disposal is Rest. Rest’s hitbox comes out very quickly, on frame 2 (1/30th of a second), but has loads of endlag, as rest puts you to sleep for a few seconds (enough time for any hit to connect). But if you land that golden hitbox, you can kill anyone as early as 25%, allowing for major comebacks and probably many broken controllers on your opponents part. Oh, and happy birthday, Stuff and That! Awesome choices. I don’t play as Jigglypuff a lot, but facing a great Jigglypuff players is the stuff nightmares are made of. never doubt a puff player because puff is bad, you’ll get absolutely rolled!